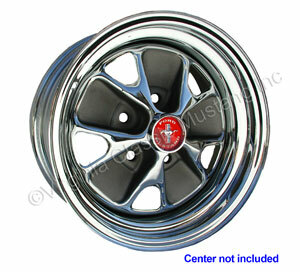 Are you looking for the absolute best deal on Styled Steel Wheels for your Classic Mustang? This is it! No, it is not the cheapest wheel, it is the best value. Will Fit any 65-73 model with a 5 lug bolt pattern. 15 x 7 with Chrome Rim.